Size: 4 inch Height. Salt and Pepper Shakers White Rose Smithsonian Collection Collection by Artis Orbis - Goebel. Caesar Mouse Figurine Size in inches: 2.5 . Artis Orbis Fine Art on Porcelain Collection by Goebel. 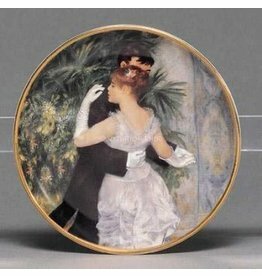 This collection of uniquely designed accessories contains German crafted porcelain featuring the breathtaking artwork of the world's most renowned artists.